A unique 49 page, A4 spiral bound visual teaching aid fully laminated for use with dry wipe pen. 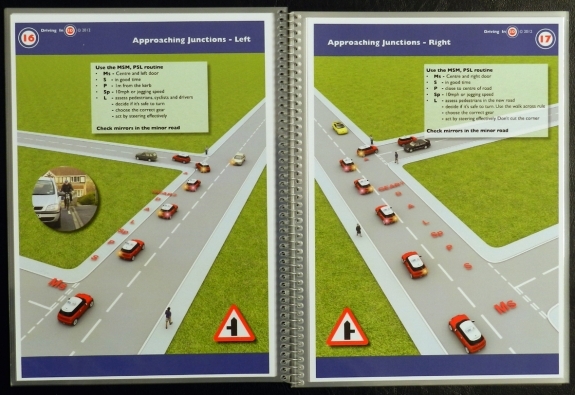 With clear 3d diagrams this manual introduces and explains a wide range of driving skills & procedures. Click the button below to add the Teach Driving in 3D NEW 2017 EDTION to your wish list.